Create an elegant setting with this Mythical Crane collection from Tokyo Design Studio. Tokyo Design Studio brand was created in 2010, taking its inspiration from delicate Japanese art and porcelain. 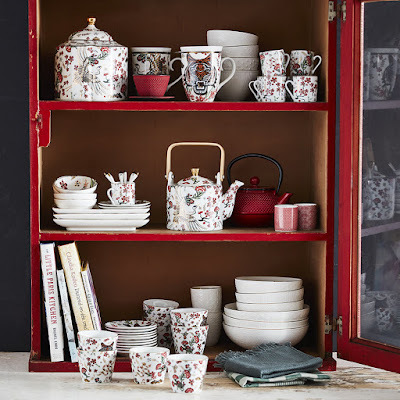 Instantly recognisable for its style, elegance and high quality, a wide range of beautifully coloured tableware, dinnerware and teaware is available to breathe new life into your home. Made from crisp white porcelain, this collection has been adorned with a stunning Mythical Crane design and finished with golden details bringing statement design to your afternoon tea or dinner table.